A former writer for The Simpsons and winner of the James Thurber Prize for American Humor, Larry Doyle redefined end-of-school-life angst with his novel I Love You, Beth Cooper and put the alien back in alienation with Go, Mutants! And now he’s Deliriously Happy, bringing readers a compilation of truly hilarious short pieces including favorites from The New Yorker and Esquire as well as all-new, never before published comic gems. Dave Barry did it. So did Simon Rich, Woody Allen, and Ian Frazier. 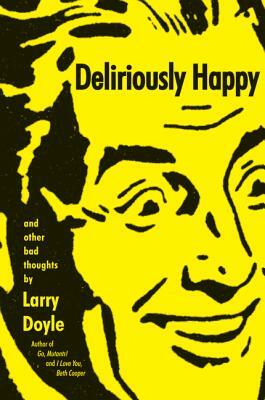 Now Larry Doyle’s making his mark with an uproarious collection of side-splitting observances about everything from birth to death and beyond. Anyone who loves to laugh will be Deliriously Happy.